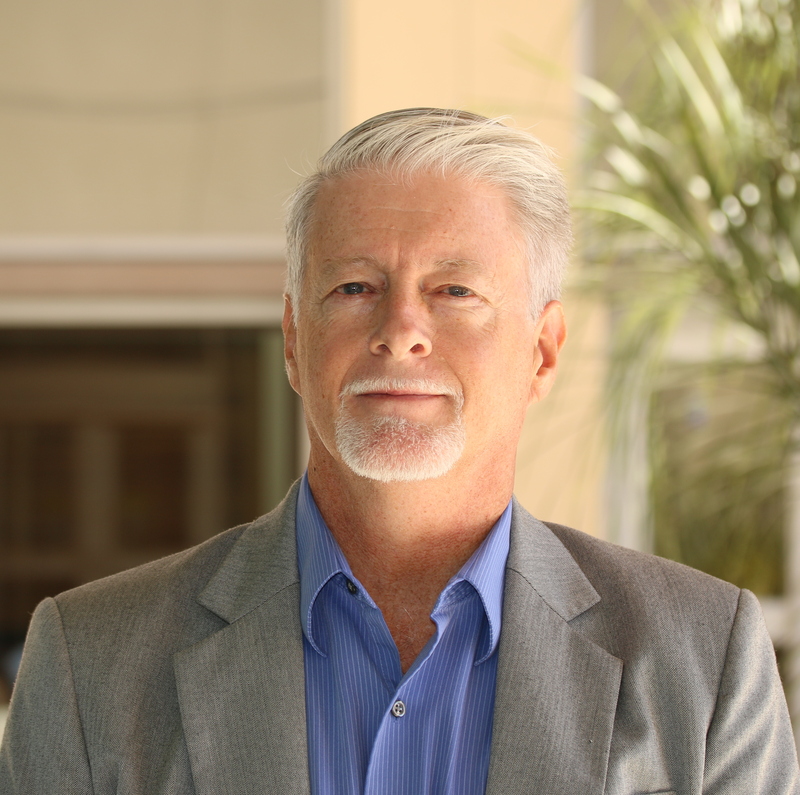 Ronald E. Rice is the Arthur N. Rupe Chair in the Social Effects of Mass Communication in the Department of Communication at University of California. He has been elected divisional officer in the International Communication Association and the Academy of Management, elected President (2006-2007) and a Fellow of the International Communication Association (2010), winner of the 2015 Steven Chaffee Career Achievement award from the ICA, awarded a Fulbright Award to Finland (2006), and has served as Associate Editor for Human Communication Research, and for MIS Quarterly. And now we have the great opportunity to have him as a visiting professor at University of Amsterdam. We talked in detail about the influence of new technologies on communication. Read on to find out what were his answers! What is the reason for your visit here at University of Amsterdam? I was invited by Martine van Selm and Claartje ter Hoeven to be a visiting professor and will stay until March 22. I am familiar with the Netherlands education because a couple of years ago I was the chair of the external committee reviewing the graduate communication research programs throughout the country. In the coming months I plan to give two half day workshops and maybe a dozen presentations. I will also present at the Vrije Universiteit, Amsterdam. It is a great opportunity to be here and meet the communication faculty, students, and staff. Throughout your career you have had many major accomplishments. One that is particularly impressive is your work at the International Communication Association. Last year we presented to our readers a summary of the ICA conference in Japan. Can you tell us more about the association? In terms of social science of communication in the United States there are two main associations – the International Communication Association and the National Communication Association. The NCA is somewhat more practitioner and teaching oriented. The ICA is more research science oriented. ASCoR and other communication department associations in Europe are similar to ICA in this sense. The Netherlands, Germany and Singapore have a very good representation on ICA and this is great because the association is putting a lot of effort in the last 10 years to become much more international. During the conferences I’ve noticed that the Dutch are really good in poster presentations and they tend to win a lot of the awards for that (laughs). Talking about your work, you have dedicated a lot of your research efforts in studying the effects of the new technologies on the way we are communicating. What do you think are the most important changes in this sense? We are much more interconnected than we were before. First, it’s so easier to stay connected. The cost for that is getting very low and the convenience to contact somebody is unprecedented. Second, the new technologies connect people within networks. It’s not just you connecting with some other person, your whole network expands and gets richer and denser. Of course, there are positive and negative effects from that at the very same time. We can easily keep in touch with people from the whole world. On the other hand we are overwhelmed because we are expected to respond all the time. For instance, I am currently studying college students’ use of multiple media in the US and Norway. We see that it is a double-edged sword. It is so convenient but at the same time some people get addicted and feel pressured by all the demands upon them. These effects are valid for interactions with new technologies in general. If we want to talk more specifically about their influence on organizational communication, what would you say? Currently, I am doing a study with a professor from Finland in the area of flexible working. We found that some people have more agency and are able to take control over the use of new technologies, while other people don’t have as much choice. So I think one of the implications for organizations is that they need to give people more freedom to decide whether to use them or not. Just recently France passed a law, a “right to disconnect”, suggesting that companies of 50 or more employees draft formal policies to limit the spillover of work, specifically as it’s related to digital technology. For example, checking e-mails outside of office hours. So, this is one of the impacts – we are realizing that our boundaries are disappearing. Another factor that influences the workplace nowadays is the influx of social media and the ways employees use it. Do you think that is a benefit or disadvantage for the organizations? Employees are using some of their personal social media accounts for work-related purposes. And one of the pitfalls is that the organizations can’t manage this process or create some guidelines for that. So, now more organizations are creating (or licensing) their own enterprise social media. One of the advantages is that employees with better social media reach are more likely to share knowledge because they know what other organizational members are struggling with even if they haven’t met them personally. When the organization creates a space where you can connect with other employees it is easier to just ask questions until somebody answers. Let’s turn to external organizational communication. Big data is the buzz word nowadays. Do you think that organizations will rely on big data more in the future? It’s not the case if companies are getting interested in big data, because they already are. Big data allows us to find patterns that we could not research before. Until recently you had limits on how much data you can collect and analyze. Now there are really no limits. For instance, people are studying all the users on the Chinese social media system Renren. The computing power, the data analytics power, the statistical power just wasn’t there 10 years ago. Big data is reliable in the sense that it measures what people actually did, not what they think they did. Many studies show that people have unreliable memories. However, as we humans are symbol processors, we attach meaning to what we do. So if there is a difference between the actual activities and people’s memories or perceptions, the perceptions can be more valid, even if the big data is more accurate, comprehensive, and reliable. If we move on to a specific branch of communication, what do you think are the changes in health communication resulting from the new technological advancements? It is two-fold – it does put pressure on care providers, but has also improved the communication with them. In Santa Barbara one of the biggest hospitals has a personal record medical system. If you need to get a prescription renewed you can just post it on there and don’t need to set an appointment. The medical results are also available right away online. But at the same time, the doctors now spend bit less time examining patients and a bit more entering information into a system. The question is – is that a good trade-off? Do you think Internet changed the attitude of the patients towards their medical providers? Patients are not trained to understand the information available online. Moreover, they are not aware of the quality of the site they are getting their information from. For instance, some people go online to search for their symptoms but might be using the wrong term for their condition, so they find inappropriate information or advice. On the other hand we want patients to be more informed, which makes the doctor’s job easier. Besides, it requires from the doctors to be more open to interaction. One of the recommendations I have seen is that in addition to medical prescriptions, doctors should provide information prescriptions – a list of some good websites related to the patient’s condition. But knowing more, even if it’s impartial, can make things worse because you worry about symptoms that you don’t have. Think about some of the early Woody Allen movies where he plays a nervous hypochondriac – he is constantly worried that he is experiencing heart failure or that he has brain cancer because he was reacting to every bit of information he was receiving. Going back to research, when Timothy Coombs was visiting us here at ASCoR in October, he said that scientists and practitioners can find a common ground and that theory can serve as a guide. Do you think agree with that? Yes, I agree. The interesting thing about communication is that it is what people do every day. Since we grow up communicating we think that we already understand communication. It’s not like physics or chemistry. Communication is also very pervasive, so there are many practical applications of it in our daily life. But still there is a big gap between research and practice, and there are reasons for that, which is perfectly fine. We are academics and we talk about things in more abstract ways and that is sometimes not accessible or even useful to ordinary people. You can talk about poetry in that way. Poets make really great art without any practical application but we are still glad that we have poets. Related to research and the definition of our world as “post-truth”, why do you think so many people doubt scientific findings nowadays? I have a conference coming up this spring and the topic is “Science, Communication, and Uncertainty”. For the ordinary person uncertainty means that you don’t know what you are talking about. But scientific uncertainty is a very different from the ordinary uncertainty. In science there is uncertainty and our presumption is that we are not 100% sure. Ordinary uncertainty is insufficient information to make a good decision, or similar to doubt. Scientific uncertainty means that we can never know for sure but at least we can measure how uncertain we are, or we are very well informed about the topic. Right now I am doing a lot of research on climate communication and how climate change news conveys uncertainty. We coded 10 years of news stories for regular uncertainty and scientific uncertainty. We found that scientists are associated with scientific uncertainty but not very frequently because the news media do not cover scientific uncertainty. The problem comes when scientists are treated in the news as associated with regular uncertainty. The population then conclude that scientists just don’t know, so it is easier for the reader to reject certain claims about climate change. One of the ways to overcome that is to offer better education about how science works. I’ve seen that the UvA undergraduates in your program are really getting great training in research. Besides, research allows us to think critically, to question the things around us in order to understand them better. Finally, can you tell us what is the most rewarding part of an academic career? An academic career is not proprietary or commercial. Therefore, with some exceptions, you don’t have to protect your ideas. We share ideas and work on projects with other academics and students from all over the world. That is one of the most rewarding things – you get to meet a lot of people and most of them are willing to share. As professionals we seek exchanges and that overcomes some boundaries we usually have in our regular life. Also, in academia you are being trained to be curious about the world around you – it is a great pleasure to be learning about the world as part of your career.